Being a Driver Mentor with PAM Transport, I am often asked about my must-have items for new truck drivers. I decided to put together a list of the top 5 and while this is not all inclusive, it's a strong starter list. 5. 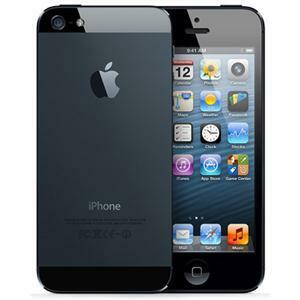 Smartphone - I had to think long and hard about whether to include this on my list because it isn't an absolute necessity, but as you might imagine it's really nice to have. It's a given that you will need a cell phone while out on the road but if you can afford to upgrade to a smart phone I would highly recommend it. You will find it incredibly useful. It will be your connection to home, a source of entertainment during break times and a source for information. Some of the apps I use include Google Maps, Kindle, Netflix, Truck Stops Pro, Tango, a banking app and many, many games. See Also: What Is The Best Smartphone for Truck Drivers? 4. Truck Stop Guide - You can pick up this little book for $8 at any truck stop or right here on Amazon for about the same price. I guarantee that your mentor/trainer will have one of these. It is basically a list of all major truck stops categorized by state and interstate. Whether you need to quickly find a bathroom or you are ready to find a place to park for the night, this little book will be your go to guide. 3. Bag of Tools - There will come a night when something as simple as a pair of pliers will be the difference between being on time and being late or running out of hours to drive. 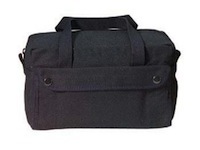 A simple bag of tools will probably sit unused for quite a while but not having them when they are needed can be very costly. I bought a small tool bag from Walmart for $3 dollars and then just filled it with some items I had at the house. Nothing too tricky just a pair of pliers, wire cutters, crescent wrench, vice-grip pliers and some screw drivers. I have used the truck stop points earned from fueling to pick up a few things along the way also. Get your tool bag started right away and you can always add things to it over time. It WILL come in handy! 4. 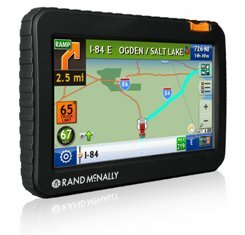 GPS - I believe the Department of Transportation recommends using a GPS designed for professional drivers. I would love to have one but these run between $300 and $500 and I'm just not ready to spend that much money on one but lots of drivers do and swear by them. I still use the one I bought at Walmart for $99. I can not over state enough though, that just using a GPS and nothing else can be dangerous and lead to accidents or tickets. PAM Transport provides a truck appropriate route and if you map it and then set up the GPS to follow that route it can be incredibly helpful getting the right exits and determining distances and arrival times. See Also: What Is The Best GPS for Truck Drivers? 5. 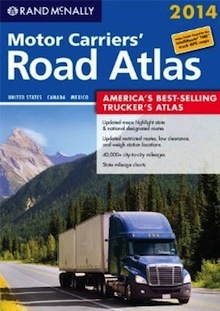 Road Atlas for Motor Carriers - If you get nothing else on this list you MUST have this one. You will need it to map routes. It has a ton of information including low clearance bridges and restricted truck routes. You can pick this up at any truck stop but since you will pay almost double the price at a truck stop, I would recommend getting it somewhere else. You can get one from Amazon right here for around $15. Did you find this list helpful? Is there anything you think I missed? Let me know in the comments area below. This list isn't everything, but should be a nice start for any newbie.